Gain insight into the recent conservation of The Jewish Wedding by Pierre-Auguste Renoir (1841-1919). 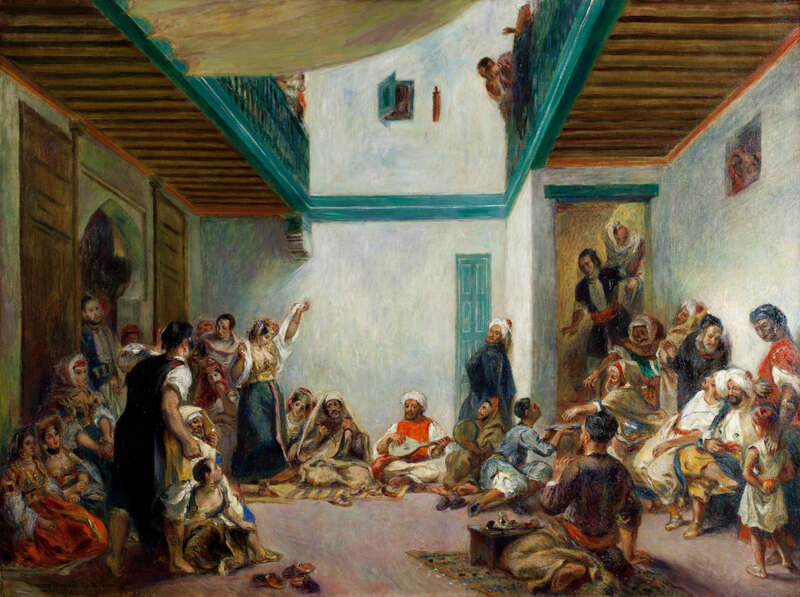 In 1875, Renoir was commissioned to paint a replica of Eugène Delacroix's 1839 The Jewish Wedding in Morocco, which resides today in the Musée du Louvre in Paris. Although faithful to Delacroix's original, Renoir adapted his Impressionist manner to the painting, creating a novel work of art, wholly distinct in its brushwork, palette, and use of light. Renoir's work, obscured by a 70-year-old discolored varnish, has now been restored by Andrew W. Mellon Fellow Maja Rinck, a transformation that resulted in the recovery of its original tonality, revealing a major Impressionist painting. Judith F. Dolkart is the The Mary Stripp and R. Crosby Kemper Director of the Addison Gallery of American Art. An expert on the art and culture of 19th century France, Dolkart’s work has extended to artists as diverse as Andover alumnus Frank Stella ’54, William Glackens, Ellsworth Kelly and the British-Nigerian artist Yinka Shonibare. Dolkart joined the Barnes as chief curator in 2010 and was promoted to deputy director and chief curator in 2012.